When it comes to an animation education, getting your degree is a worthwhile endeavor. 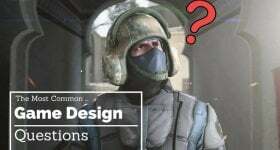 A post-secondary education is becoming commonplace in game design career aspirants. For aspiring animators, it’s already a well-established practice. 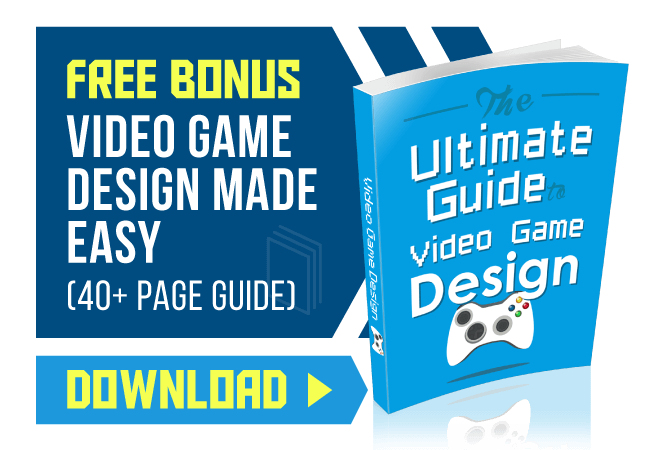 It’s true that you could find all the resources you need to learn animation online for less than what it would cost to go to college… But college has its benefits. Good schools provide a great place to learn, and professors who know their craft (and have worked in the industry, ideally). It’s an opportunity to make friends and build your network. The friends you make now can open the right doors for you down the road. You never know. Plus, you’ll face some healthy competition with your peers. You’ll learn to collaborate and to work well in groups. You’ll also develop your critical eye, critiquing the creations of your classmates. And even more importantly, you’ll receive critical feedback yourself. This environment can help push you to progress and grow faster than you would be scouring the internet for free online material. 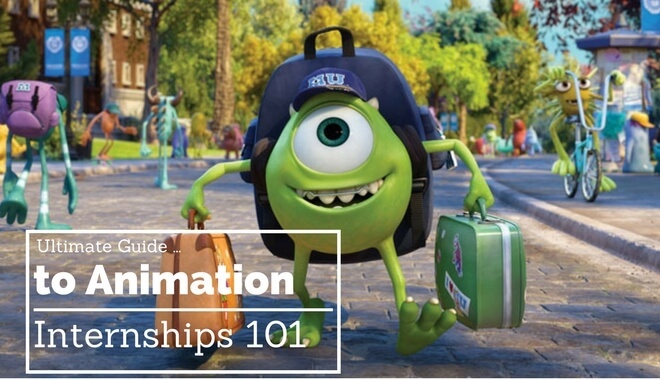 Of course, you won’t be the only person going to school for animation. There will be thousands of you. A piece of paper alone won’t separate you from the pack. You can get an internship. Internships are excellent ways to see what the industry is really like. You can read about becoming an animator all you want–it won’t prepare you for the real-life demands of the job. Internships are great for experience, but they’re also an excellent test to see if your chosen field is right for you. You might be surprised to find that you aren’t cut out for being an animator, but you are cut out for a different position involved with making games, television, or movies. Or, your internship might reaffirm your suspicions–that you were born to be an animator, after all. Either way, an internship can give you the answers you’re looking for. But, as we mentioned earlier, there’s more to internships than that. Internships is the best way to get experience in the video game and film industries if you are starting with none. Real life experience working on real projects with real release dates, with a team of real professionals…that looks a lot better than just a degree. Plus, the people you work with won’t all stay at the same studio forever. There can be a lot of change over in the video game and film industries. They might move to new studios. Those studios might have new opportunities. And some of those opportunities will need to be filled. And their new studio might just ask them for recommendations… If you’re fresh in their mind, who’s to say they wouldn’t recommend you for your first animation job? Of course, it doesn’t always work like that. But even without a direct recommendation from someone you interned with, internships still set you apart from other animators earning similar degrees and certificates through similar animation programs. An internship on a resume sets you apart on paper, and it will also set you apart in your skills, abilities, and experience. Now that we’ve thoroughly convinced you to find an internship, you’re probably itching to get started. This guide will show you some of the best ways to find internships out there, and also provide some advice on how to actually land these opportunities. When it’s time to apply for internships, why not go big? You don’t have anything to lose, it’s great practice, and if you land it? Well….that’d be awesome! So, why limit yourself? (Hint: There’s no good reason) Look up some big name studios and see if they have an internship program! The Disney Animation program is for students returning to school in the fall. It takes place over the summer, and they have both an 8-week and a 12-week internship program available. In true Disney Magic fashion, the internship is paid. Not only do you get paid experience, you get to work with a Disney mentor. That’s an invaluable opportunity. Not only will you learn from an industry expert, you’ll have a mentor. A relationship with a mentor is a great thing to have. You can ask questions, get great advice, learn real tricks of the trade, and make a friend in the industry who wants to open doors for you in the future. If you’ve recently graduated from college (within the past three years), there’s still an opportunity for you in the form of Disney Animation apprenticeships. They offer 3-month, 6-month, and 12-month paid positions for the fall and the spring. The apprenticeship will take you to the Disney Animation offices in Burbank, California. Like the internship, the apprenticeship is a paid position. Another opportunity to work under a mentor–Disney Animation knows how to do it! More information on how to apply for both the internship and apprenticeship positions at Walt Disney Animation Studios can be found on their studio website. You’ll need to create a profile with Disney Animation before you can apply. Once you do that, you’ll be able to submit your resume, your portfolio, and a reel. Another big name. Why not, right? Competition will be stiff, but you just never know. The Pixar internship and residency programs are available in 12-week and six-month terms. You’re able to apply whether you’re in college or have recently graduated. If you like the sound of that, hop over to their site to get the details on how to apply. One more, just for good measure. The Nickelodeon Internship Program refers to interns as “NICKterns.” So, aside from learning from industry professionals, you can expect some sweet NICKnames (even if they are a bit heavy-handed and a pinch-cheesy). Nickelodeon offers internships in a bunch of departments. The three most relevant departments are Animation Productions, Animation Development (Nick/Nick Jr.), and Animation Lab. The website outlines the eligibility requirements you’ll need to meet in order to be considered. Each internship will last for a minimum of 10 weeks, and you’ll need to be available for at least two full days each week (for a total of 16 hours). There are more requirements, too, so be sure to check the full criteria list before applying. The spring semester deadline is November 1st, so be sure to get your application in before then! (Summer semester deadline is April 1st, Fall Semester deadline is July 1st). It also covers some helpful practices on the mass apply/personalized resume dilemma (hint: it’s all about the balance). If this is your first internships 101 guide, or you need a refresher on any of those topics, please proceed! LinkedIn (if you somehow haven’t heard of it) is kind of like Facebook for professionals. It’s a great place to do some networking and keep up with industry news. It also acts as a safe haven for those looking to escape the barrage of cat pics and memes. A sanctuary that few social media sites can provide these days (even business cats have no place on LinkedIn). And those are just a few relevant postings from seven pages of search results. Depending on the company’s preferences, you’ll either be applying through LinkedIn or directly on the company website. LinkedIn also lets you sign up for email alerts. The alert system will batch any new, relevant job postings and send them right to your inbox. LinkedIn is already pretty popular and will continue to grow. There will be competition for these postings, so you won’t be looking at a guaranteed win. Still, far from everybody uses LinkedIn as diligently as you’re about to, so don’t be discouraged! Another site to turn to is Indeed.com. You can sign up for email alerts to see when new animation internships are posted. You can also search by location, which is a real time saver if you need to be somewhere specific. And these are just a few of the options from pages of results. When you apply through Indeed, you have the opportunity to upload a resume and type a cover letter. Different studios will ask for different submission criteria, so be prepared with a reel and a portfolio, too. Google now pulls job postings (and in our case, internship postings) from all over the web into one place. For now, this feature is only available in the United States. But it makes it easy to browse quick facts about the internships, and provides a convenient link to the main site, where you can actually apply. So, using Google certainly isn’t revolutionary, but this new Google Search feature will atleast make your internship search a bit easier. It will show jobs from Facebook, LinkedIn, Careerbuilder, Glassdoor, Monster, and many more. There are two strategies at play here, and it’s important that we talk about each one. Strategy number one: Applying to internships take time. There are hundreds of internship opportunities out there. To maximize your chances of landing an internship, you’re going to want to apply to as many of those puppies as you can. Streamlining the application process is important. Sending out your application is important. But here’s strategy number two: Obviously customize your cover letter to every business. But you should also customize your resume. It won’t matter how many resumes and cover letters you send out if none of them focus on what you can bring to each specific company and what the company wants in a candidate. Be careful in balancing the workload. Take the time to tailor each submission to the company you’re sending it to. You’re bound to see better results if your submission speaks directly to them. It’s easier than you think to spot a generic submission. The people considering your applications will be able to tell if that cover letter is the same one you’ve sent a hundred times to every internship opportunity on the web. Take the time to tailor your message for each company. Take the time to stand out. You don’t need to start from scratch each time, but build a template you can use that gives you serious space for personalization. Remember that your unique flavor is one of the best things you can offer this world. Let it show up when you apply. Standing out is hugely important. Competition will be stiff. Don’t get caught up in “playing it safe.” That’s what everyone will do. Take risks. Go for the big fish. Be yourself. And good luck.